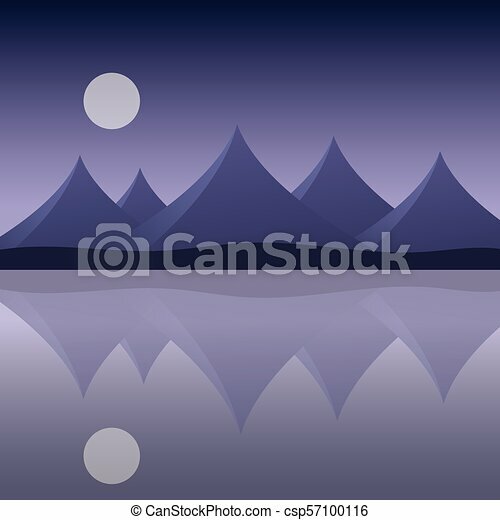 Abstract mountain landscape on the sea shore with reflection in water and moon on purple sky - vector, with space for your text. 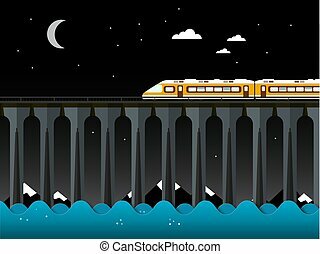 Night Landscape with Train and Bridge over the Sea. Ocean Waves and Moon on Sky. 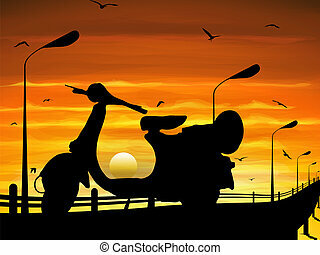 Scooter parking on the way in twilight with vector graphic art. 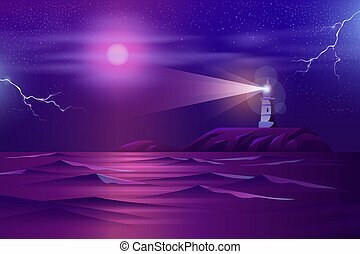 Vector background with lighthouse at night - building on the hill with searchlight, illuminated shore, landscape. 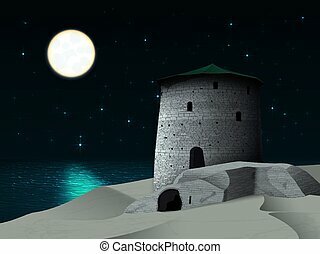 Tower for navigation in ultraviolet colors, full moon backdrop. Mist, haze on beach. Castle on a cliff. Castle in the background of the full moon. 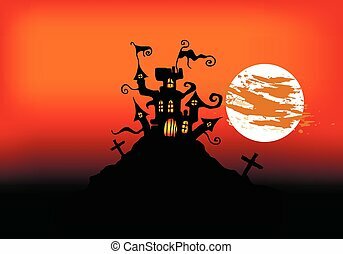 Creepy castle. Mystical landscape. 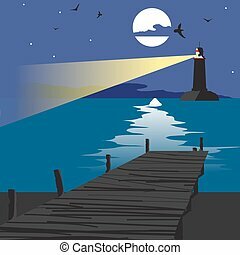 Summer beach landscape at night with a wooden pier and a lighthouse shining in the distance. Lunar path on water in summer night vacation. 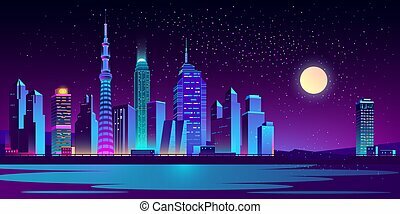 Vector flat cartoon illustration. 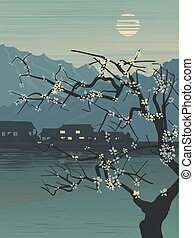 Vertical illustration village on shore of lake in the evening with Asian motive. 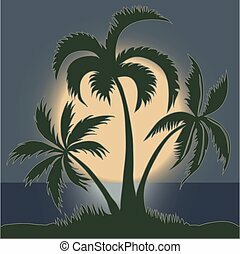 Summer beach landscape at night. 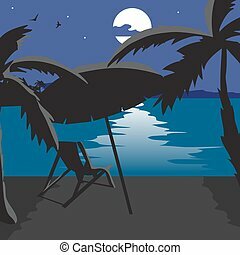 Silhouettes of palm trees, a beach umbrella, chaise in the moonlight. 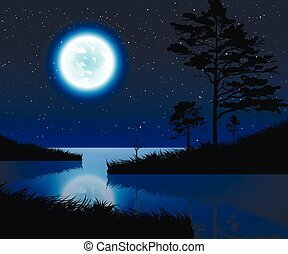 Lunar path on water in summer night vacation. 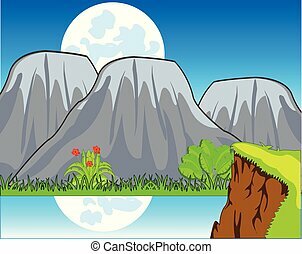 Vector flat cartoon illustration. Night seascape. Moon and clouds on the dark blue sky. 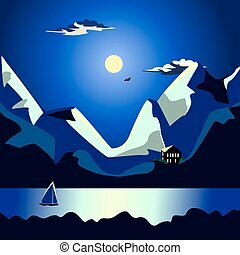 The moon illuminates the tops of the mountains. Dark Sea. On the water, a brilliant moonlit path. The yacht with a triangular sail.